I have, over the years, collected and memorized Bible verses that encouraged me as a writer. I’m also a great fan of praying Bible words back to God. I have combined those two things into a prayer for writers. Pray it over yourself and your work in 2013—and be blessed! Dear God, as the One who created words and who came as Word, we acknowledge that You are the creator of our tongues (the urge and ability to communicate) and the source of all wisdom about words. 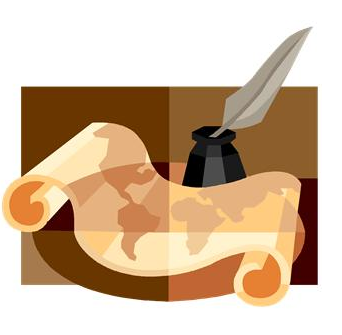 Today we bring to You our work of producing and spreading written words. Help us not only to write but to be bold to submit what we’ve written, for You have told us to cast our bread upon the waters with the promise that we will find it after many days. May we steward our time, talents and opportunities wisely for from everyone who has been given much, much will be demanded, and from the one who has been entrusted with much, much more will be asked. Help us to resist the urge to draw attention to our successes and praise ourselves, choosing instead to wait for You to lift us up and make us great. May You be the one to expand our influence, the place of our tents, the curtains of our dwellings, the numbers of our blog readers, book buyers, friends, and followers. May we spare no effort but rather lengthen our cords and strengthen our stakes in excellence so that the good news of Your kingdom will spread to the left and right. As a result of our words may followers of Jesus inherit the nations and make desolate godless cities alive again. We roll our writing work on You. May You cause our thoughts to become agreeable to Your will so that our plans will be established and succeed. We need You to guide us continually, to satisfy our souls when we feel dry, and to strengthen our bones when we are tired. Help us to be as productive as watered gardens, our words as refreshing and life-giving as springs of water. May the beauty and delightfulness and favour of the Lord our God be upon us: confirm and establish the work of our hands, yes, the work of our hands, confirm and establish it. Amen. The verses (using various translations) in the order which they appear: John 1:1,14; Exodus 4:11; Ezekiel 3:10-11; Ecclesiastes 11:1; Luke 12:48; Proverbs 27:22; James 4:10; 1 Chronicles 29:12; Isaiah 54:2-3; Proverbs 16:3; Isaiah 58:11; Psalm 90:16-17. Thank you Violet for leading me to both the writers and bloggers prayers. Thanks Jeanne! Glad to introduce you to Ann’s Blogger’s prayer.